PRS guitars are the brainchild of Paul Reed Smith, a guy that has developed quite a respectable following in his guitar-making skills. With artists like Carlos Santana, Al Di Meola, Mark Tremonti and Derek Trucks representing PRS guitars through signature models and endorsements, the brand is a staple in most musical genres. Paul Reed Smith began building guitars in college, making his first one as a challenge to get some extra credits for a music class. He got an 'A' on it and that began a lifelong obsession to continue building better guitars. His reputation continued to grow as he built new guitars and tested them out himself playing gigs, refining the design process as he went along. He also asked other musicians to try out his guitars, allowing him to get invaluable feedback. Turns out he had a very keen ear for discerning tiny differences in tone quality made by changing different aspects of the guitar design. This ability, as well as feedback by other guitarists testing his guitars, helped Paul refine the process of manufacturing PRS guitars. The PRS Guitars website offers a very brief history of the company and where Paul Reed Smith came from. To get the full story, there is The PRS Guitar Book: A Complete History of the Paul Reed Smith Guitars - 3rd Edition (Guitar Reference) , by Dave Burrluck. While PRS guitars are known all over the world as incredible instruments, there's always someone out there that has an opinion that isn't entirely flattering. Just to play devil's advocate and give you some alternate views, I give you Ed Roman, a guitar retailer and manufacturer out of Las Vegas. He specializes in selling higher-end guitars and has a very strong opinion of the current state of PRS guitars. He gives it here on his website. Roman has some compelling arguments for his opinion, however, for all the artists out there that continue to use PRS guitars for their main axes, I'd say you have to make up your own mind. I've read that the Korean-made PRS SE models are subject to the same quality control that the US-made models endure, but again, that's for you to decide. Of course, the $600-700 price tag for an SE versus $2000-4000 (plus) for a US-made model can be a real deciding factor if you just have to have a PRS. The Experience PRS event is held every year in the Fall and open to the public, but you do have to register for the event. Sign up for the PRS newsletter so you get the info when it's available. There are some key traits that make so many artists prefer PRS guitars. The guitars tend to be lighter than many of their peers, so a performing artist doesn't have to worry as much about neck and shoulder pain from playing for hours. 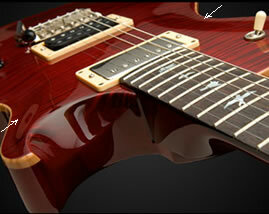 PRS features locking tuners as a standard offering. This helps ensure the guitars stay in tune while you're playing. Nothing is worse than having your guitar go out of tune while playing a gig. PRS also designed a custom bridge that only requires intonation adjustments at the E strings, rather than for all six strings on traditional bridges. The remaining four strings (A, D, G and B) are automatically intonated after you get the E strings dialed in. Those are just a few reasons to check out PRS guitars. 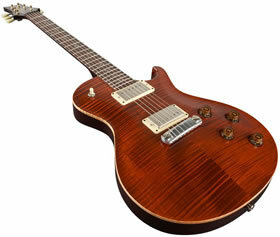 PRS also offers different pickup choices, neck styles, woods and finishes. Spend some time on the PRS website to get a real feel for the number of choices and options available to you. 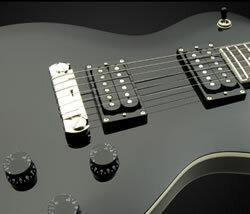 For reviews on PRS instruments (guitars, basses and amplifiers), there are tons of online options. Some of my favorites are Audiofanzine, Guitar Player Magazine, Guitar Edge and Premier Guitar. There are truly so many choices among the models that you really need to head to your local dealer to get your hands on one to test out. If you're in the States or Canada, it's pretty easy to find a Guitar Center (or other local music store). Internationally, many countries have a distributor - check the list here. Get out there and get your hands on one!